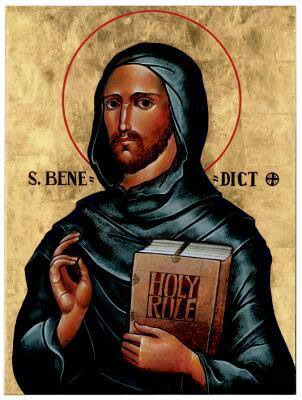 Yesterday was St. Benedict‘s day; it’s the second of two, as his proper day is March 21st, but June 11th has also long been celebrated. Three monks made simple vows and that’s always a fine moment for the college as well as the monastery. In the spirit of the day, here’s a reflection on Benedict the saint from Benedict the pope emeritus. One of the political blogs I follow has the habit of occasionally venturing into theology; surprised to see this today about a bit of Vatican inside baseball. I’ve been looking forward to this, since despite being a Catholic theologian who’s firmly convinced that double predestination is a horrible blasphemy, I’ve always admired Calvin as a theologian. The sheer architectural brilliance and comprehensive nature of his thought inspires a kind of intellectual awe. If I had landed at a Reformed college rather than a Catholic one (Deo gratias), I could easily have wound up a Calvinist. In belated commemoration of his deathiversary (May 27, 1564), here’s the Weekly Reader on John Calvin. We’re still working through these sets of Guardian posts on various thinkers (Plato and Spinoza to go). In their choice of writer, the newspaper really rolled sixes with Paul Helm (Helm’s Deep), who’s one of the best bloggers on the wider Reformed tradition as well as the writer of an amazing Calvin book. For the truly brave, of course, there’s no substitute for Calvin himself. Institutes of the Christian Religion is his Summa, although as it’s two thick volumes, the bravery will definitely be required. Follow the link to see why, as Philip Jenkins continues his discussion. It also shows how much, perhaps, of the past had to be forgotten to reach our more ecumenical age. I’m sure the reporter who asked me about this was expecting to hear that there was no problem any more. And indeed, in the United States, there probably would not be. But how much of that would simply be due to not taking these things as seriously as our forebears did, rather than actual growth in understanding? When I was in elementary school, I vaguely remember something called the Weekly Reader that functioned like a newspaper for children. A lot of water and a great many books have gone under the bridge since then, but I thought a Weekly Reading post might be fun to keep up. The Guardian has a whole series going on major thinkers, and we’ll be reviewing what they have to say on Calvin, Plato, and Spinoza before we’re through. After that, it’ll be far enough into the summer to have some of my own reading built up. 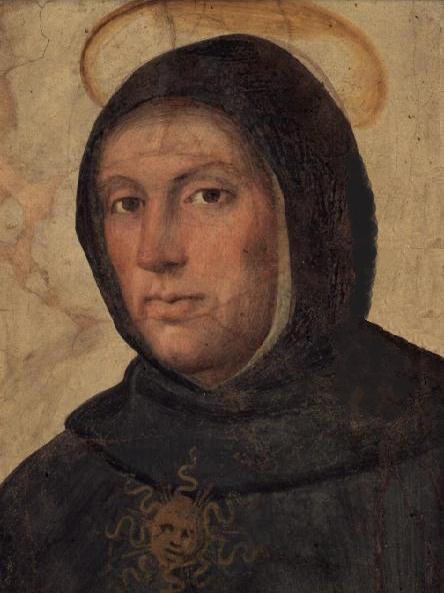 But first, Thomas Aquinas! The following columns by Tina Beattie do a good job on the basics of his outlook. I wouldn’t normally think to find this in the Guardian, but they’re being honest brokers. Part 5: What does it mean to be human? But still interesting; I’m going to look forward to the next few posts along these lines. Always admired Philip Jenkins‘s scholarship. Ironically, a few years ago, a reporter asked me about the prohibition against Catholics becoming Masons. I’d thought it had dropped out, but it turned out that it’s still in force. More complicated but also funnier than saying, Non in dialectica complacuit Deo salvum facere populum suum. I hand over lots of my personal information to Apple, Google, and Facebook. I use a “trust fall” analogy when I talk about how much I trust each of these companies. You know the exercise: turn your back to this person, close your eyes, count to three aloud, and then fall backwards. I’m certain that Apple would catch me. My sole worries are of the “accidents can happen” variety. I’m pretty sure that Facebook would watch me fall. I can see myself smacking into the ground, and then Facebook would update my status to “Concussed” without my asking it to. As I struggled to my feet, Facebook would update its own private profile about me and my habits, noting that I trust companies so blindly that I didn’t even try to stop myself from falling. That’s a very valuable demographic for ads about home-refinancing.